It’s a Kodak World – Welcome! I’ve finished another sketch in Manga Studio, still trying to come to grips with it. This time I’ve used my trusty old Wacom Bamboo tablet. It’s handles just as nice as my Intuos 4. Doug TenNapel was right: the hardware doesn’t really matter that much (even though I love my Intuos). Thats great news as the Bamboo is slimmer than even the small Intuos so ideal for travelling. 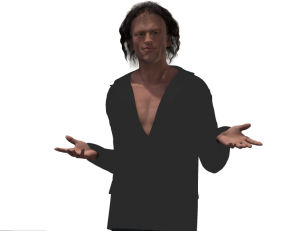 I rendered a picture of James in Poser Pro as reference. When I was half way through the drawing I thought it reminded me of Gene Simmons from The Celebrity Apprentice. 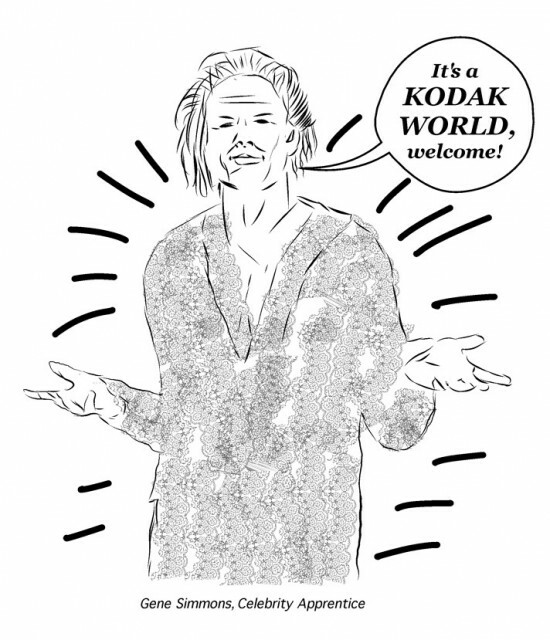 I’ll never forget his famous slogan for the printer they were supposed to promote: It’s a Kodak World – Welcome. His team lost the task and he got fired.